The exact origin of the limerick is uncertain, as is the reasoning for calling these quirky (and usually dirty *cough* There once was a man from Nantucket *cough*) poems “limericks”… but it is widely believed that they are named after prose parlour games that were said to be popular in the city of Limerick, Ireland back in the mid-1800’s. With that in mind, you would think that a vineyard bearing the mark of the Irish would also enjoy the luck of the Irish, but that was certainly not the case with Limerick Lane for the first 30 years of its existence. 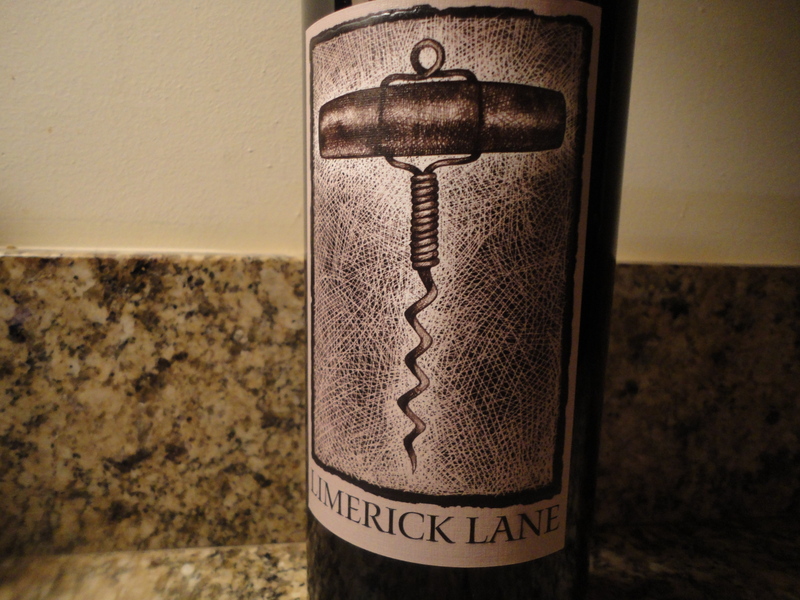 The story behind Limerick Lane began in the late 1970’s, when brothers Tom and Michael Collins, as well as their close friend Ted Markoczy, purchased the old 30 acre Del Fava family vineyard located just south of Healdsburg (in the Russian River AVA) in two separate parcels: 10 acres in 1977, then the remaining 20 in 1978. At that time the vineyards were in a state of gross disrepair, and with the exception of a small plot of Zinfandel planted in 1910, had to be ripped up and replanted. The rebirth of this estate didn’t immediately become Limerick Lane, instead it was the dubbed the Collins Vineyard where they were winegrowers, not winemakers. Collins Vineyard quickly become one of the most desirable sites in Sonoma for sourcing Zinfandel, and they sold to some of the top names of the time, including De Loach, Chateau Souverain, Ravenswood, Davis Bynum and Gary Farrell. It wasn’t until 1986 that the Collins brothers decided to give it a go themselves, and Limerick Lane was born. All was well at LL in the beginning, and they established themselves as one of the top Zinfandel producers in the region… then tragedy struck in both 1992 and 1993. Not only did Michael lose his close friend Ted Markoczy (who was part owner of a portion of the estate), but also his brother Tom, who was the winemaker for Limerick Lane. As I said, unfortunately the luck of the Irish was not smiling down upon the Collins. Despite suffering such great loss in such a short time, Michael pushed forth with the vineyards, though the drive behind Limerick Lane subsided and the focus of the estate once again became growing wine. That is not to say that Michael entirely stopped making wine under the label that he and his brother had started, but it was Tom that had the true passion for the making of wine, and when he passed, so did his inspiration. Michael Collins decided it was time to call it quits, but the last thing he wanted was to simply sell his estate, his and his brother’s estate, to the highest bidder. He wanted his hard work, and the memory of Tom, to go to someone who would love the land, love the grapes, and continue the legacy they had started back in 1978. This led him to Jake Bilbro, son of Chris Bilbro, the owner of Marietta Cellars. Jake immediately saw the opportunity of what he was being offered, and desperately wanted to make the purchase, but there was just one problem… a problem that many of us face when we have a dream within our grasp. Two years is how long it took for Jake to finally get the funding he needed to purchase Limerick Lane and Collins Vineyard from Michael Collins. For two years Michael continued on, waiting for Jake to find the money. In the end it was a small local bank in Healdsburg, the town where the estate is located, that came through with the funds. Maybe the luck of the Irish was finally smiling down on Limerick Lane. So in 2011 Jake Bilbro finalized the purchase of this storied estate, and literally began harvest the day after closing. Who did Jake hire as his winemaker? How fitting, how unbelievably appropriate, is it that there is once again a team of brothers producing wine under the name Limerick Lane? It’s as if it was meant to be. As if Michael Collins knew, deep in his soul, that Jake Bilbro and Scot Bilbro were the ones who were meant to carry on his and Tom’s legacy, and waited for them to be ready. The ones that would finish what the Collins brothers started. And boy, oh, boy… have they taken the reigns and started with a bang. Maybe it’s the luck of the Irish, maybe it’s Tom Collins, but somebody is most definitely smiling down on the Bilbro brothers. As of yet I’ve only had the pleasure, and pleasure is a gross understatement, of quaffing one of these Bilbro gems, their 2011 RRV Zinfadel. I have to admit, when I first saw that the wine was weighing in at 15.1%, I was moderately skeptical of how much I was going to enjoy the experience… Oh my God! Seriously, this wine is astounding. My palate was transformed into Davis Symphony Hall and the wine was the San Francisco Symphony. There was so much going on, it was so complex, but at the same time so harmonious. Up front is a beautiful blend of dark berry, tart cherry and ripe raspberry, then leading into the mid palate you get this completely out of left field zing of bracing acidity with undertones of churned loam and anise, finally leading into a finish redolent with freshly crushed pink peppercorn and hints of clove, accompanied by subtle tannins, oak and the slightest heat. It is crazy that a wine sporting a 15.1% ABV could be so seamless and only show the most subtle hints of heat only in the finish. This is a wine that you should allow to breathe for at least 30 minutes before serving, preferably longer. As far as food pairings, the combination of dark fruit, depth and acidity make it absolutely ideal for heavily marbled meats. The dark masculinity can stand up to the sheer power of the meat, but the bracing acidity will help cut through the fatty richness. Personally I paired it again a heavily marbled ribeye… it was perfect. So that’s the story. Limerick Lane… reborn… and the Bilbros are doing Michael, and Tom’s memory, proud! So go get your hands on a bottle, decant it for an hour, sit back, relax, and enjoy the symphony. As this story has proven, life is short, enjoy it! Tags: Bilbro brothers, Limerick Lane, RRV, Russian River, zinfandel. Bookmark the permalink. Previous post ← Crab cakes with a spring salsa… recipe and pairings. What an awesome story. Zinfandel is one of my very favorites and I’m going to have my eye out for this bottle. Thank you for the review and also for the fascinating back story. I just love a happy ending.